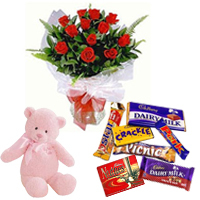 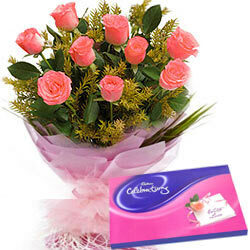 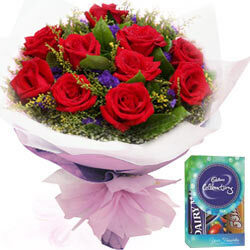 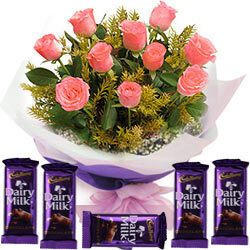 Flowers and Chocolates are the best-suited Combo Gifts for any occasion, whether you wish to convey message of love for Birthday, Anniversary, Christmas, New Year, Valentine’s Day or want to say just ‘Miss You’ or ‘I Love You’ to your special someone, you can choose to Send Flowers and Chocolates to India Online and bring a million dollar smile on your loved ones face. 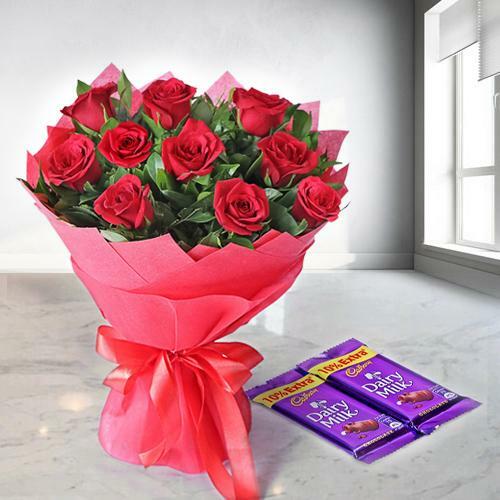 Our Website offers a wide range of exotic Flowers and Chocolate Combos like Heart Shape Rose Arrangements with Ferrero Rocher Chocolate, stunning Orchids Bunch with Dairy Milk Silk, Pink Carnations with Handmade Chocolates Bookey and so on to choose and Send online at very Cheap Cost. 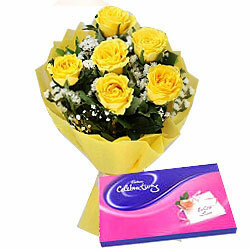 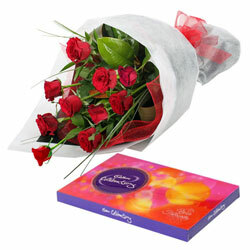 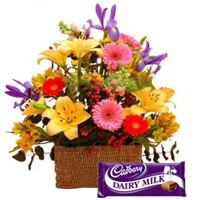 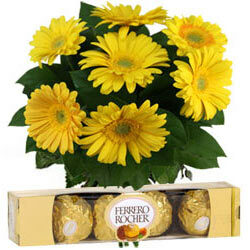 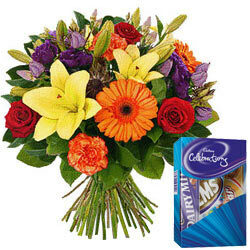 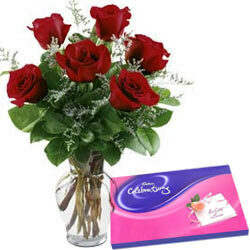 So, just place your order online and get your choice of Flowers N Chocolate Combo delivered within 4-6 hours. 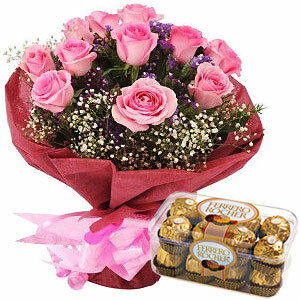 We do Free Same Day and Mid Night Delivery to all major cities of India such as Kolkata, Mumbai, Pune, Delhi, Hyderabad, Chandigarh, Amritsar, Nagpur, Coimbatore etc and cover almost 50000 pin codes all over India. 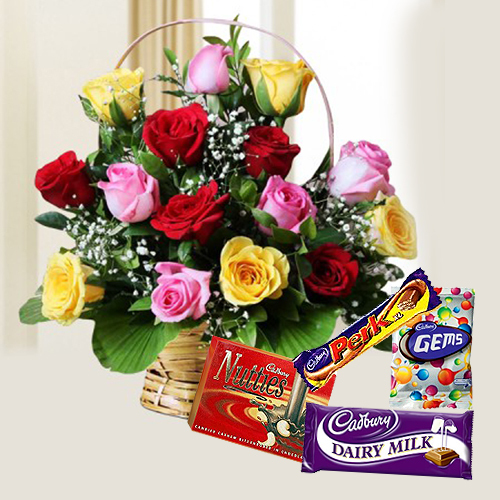 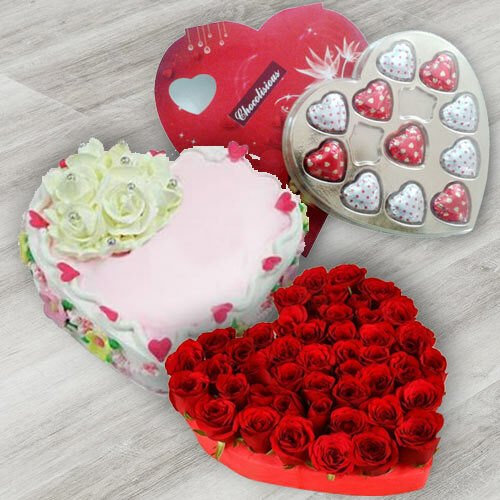 If you want to Send Flowers and Chocolates to India Online on the Same Day at Cheap Price from UK, Canada, USA, Australia to wish your loved one on their special occasion like Birthday, Anniversary, Valentine, Holi, Diwali, Christmas or other such occasions, just place your order at our E-shop. 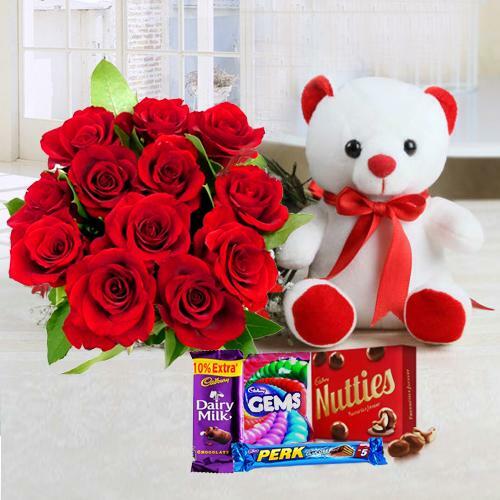 Here you will find plenty of Floral N Chocolate Gift Combos like stunning Red & White Rose Bouquet with Ferrero Rocher Chocolate Box, mesmerizing Gerbera Basket with Cadbury Chocolates, premium Homemade Chocolates with blooming Orchids, delicious Chocolate Hamper with Mixed Floral Arrangement and other such Combos at very reasonable price. 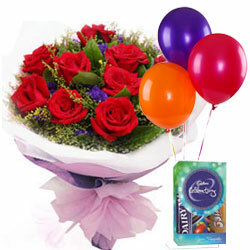 We can also provide Midnight Delivery and Today Delivery service to our Customers throughout India just in few clicks.